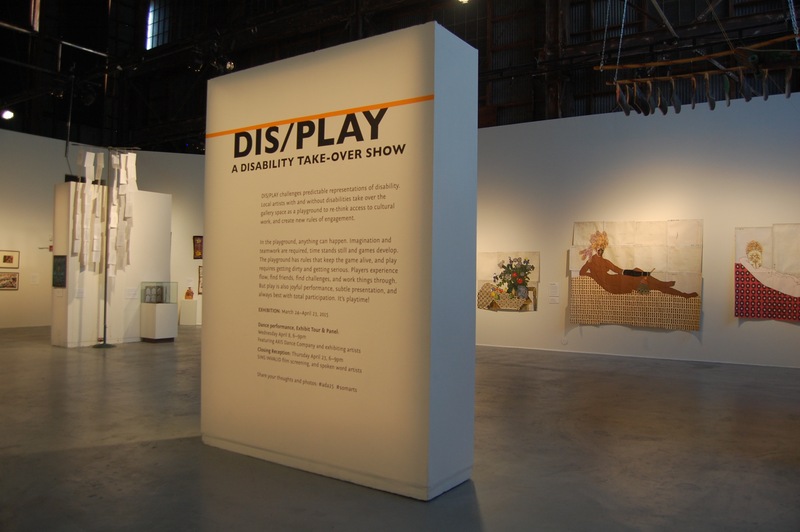 Intro text: DIS/PLAY challenges predictable representations of disability. Local artists with and without disabilities take over the gallery space as a playground to re-think access to cultural work, and create new rules of engagement. In the playground, anything can happen. Imagination and teamwork are required, time stands still and games develop. The playground has rules that keep the game alive, and play requires getting dirty and getting serious. Players experience flow, find friends, find challenges, and work things through. But play is also joyful performance, subtle presentation, and always best with total participation.